CIT Blaze cas " not all that bad for the price"
Drevo X1 240gb ssd "will have to see how long this lasts"
Msi GTX580 Lightning "just a place holder for now until i decide on what else to get. And will be fun to play about with!" Cryorig h7 plus "quite height restricted int his case to about 155mm"
580 Lightning will fetch a pretty penny if you know someone who wants it. They're highly sought after by benchmarkers. 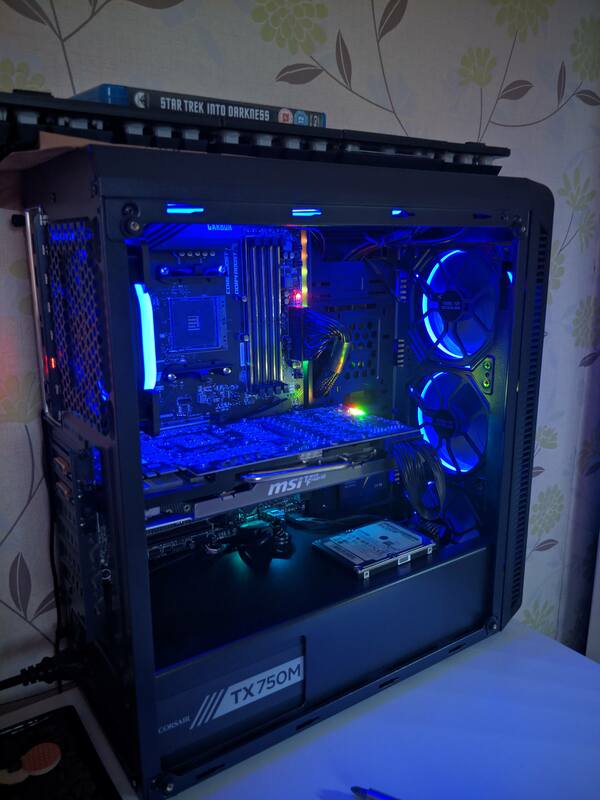 I sold a 480 lightning with no cooler on for £170 about 18 months back. There's no other card with that bios on for benchmarks. They did do a higher end 580 with blue fans but the bios was the same IIRC. Right i see well when i decide on what new gpu to get i may just well put it up for sale. have to say it is in very good condition to. The 3 sets of switches for voltage control still have the kapton tape over them. Ended up getting the Ryzen 7 1700 Running at 3.7Ghz all cores on stock cooler. Thanks i want to upgrade it but it looks so good !